Anodising is essential IMO, to improve emissivity. Bare or polished aluminium is not a good radiator. Design changes AND personnel mixups, totally blows it for me. Wanted a Fritz light , don’t want this mutated variation. The minor design change of adding that long tapered section was done to improve unclipping the light from a piece of clothing. So that is a good design change. I’m not sure what other design changes you are referring to. What do you mean by personnel mixups? Do you mean Miller leaving? Stuff like that does happen from time to time. 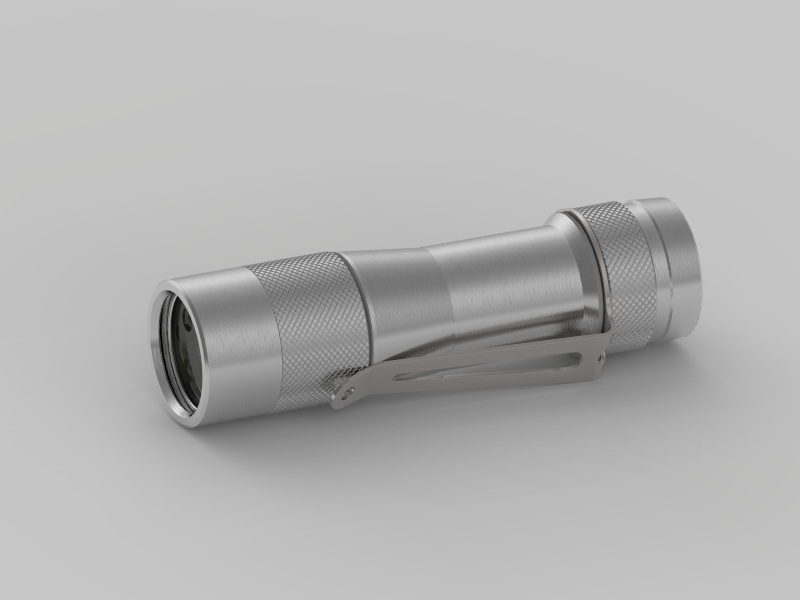 The BLF-348 is bare steel. The FW3A is not steel, but it could potentially be bare aluminum depending on how things go. I prefer natural anodize to bare aluminum. I find bare aluminum transmits heat to my hand much faster than anodized aluminum. The result is hot-rodded high-lumen lights are much less practical. I have to ramp down earlier to avoid burning my hand. Well in that case, why not reduce the threshold temperature and let it do that for you? Generally conductivity is thought to be a good thing; isn’t it? For this kind of light, no. Once heat gets to the outside of the light emissivity is a good thing. Conductivity, not so much. The interior of the light and the battery can all take much more heat than my hand can. All removing the anodizing on a light like this does is make it so I can’t run it in turbo as long. There’s really no upside. I might need to put a d4 in a vacuum and see. I agree it’s changed a lot since first conception but I’m still in. Jason the tail end looks to have changed since the last revision. Both body and tail. When I clip a torch into e.g. my pocket, I want it to stay clipped in. The last thing I want is a slippery shape that makes it all too easy to slide out again. Ideally it shouldn’t budge unless I lift the clip as I withdraw it. A good clip will even have a nub at the top that snugs over a typical denim jean seam, for added security. I doubt that the decision for the tapered ends of the battery tube has anything to do with the working of the clip, just someone at Lumintop liked it better and probably thought it would sell better. 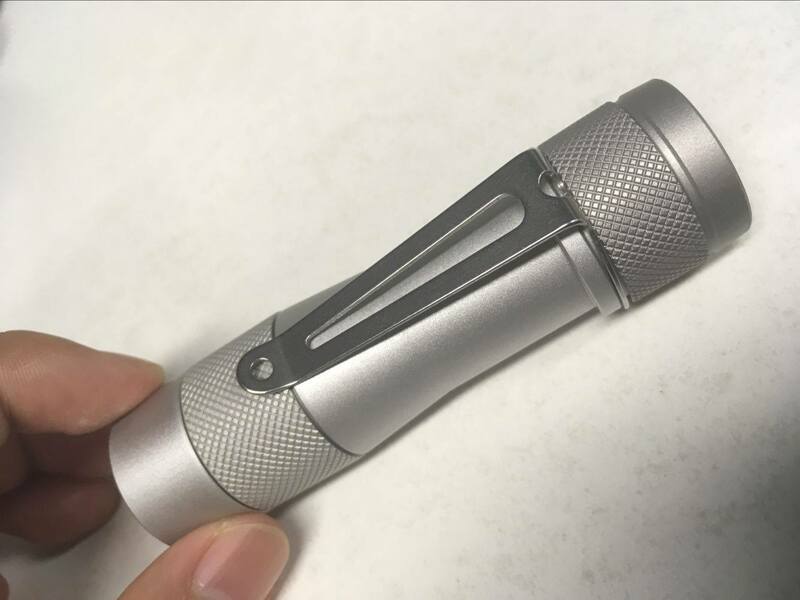 I can very well imagine people getting fed-up with the sudden random changes that chinese manufacturers add to BLF (TLF) designs, with the Q8 it drove me mad at times. Especially convincing them to change things back to our own ideas (even when they were clearly better) took a big effort. But in the end the lights are produced and sold at their risk, not ours, so they have the right to interfere with the design. It is the way this process goes, and there is no other way to have a unique design made and sold for so little money. Well the D4 has that funky coating (what is it ?) which probably has good emissivity so should do OK in a vacuum. Whereas a raw or worse-still polished aluminium body might as well be inside a thermos-flask as regards dissipating heat by radiation. So we are left with conduction into the hand (important, however blood temperature of 37C is the starting point before any significant cooling takes place) and convection into the air (insignificant, particularly when the torch is clutched in the hand). Thermal mass is good for soaking up bursts, but this torch has very little, and the energy still has to be dissipated afterwards, by conduction, convection or radiation. Design changes AND personnel mixups, ….. (snip) …. What specifically are you referring to when you say “personnel mixups”?? I agree that the faster the heat gets to your hand the better the heat conductivity. Emitting heat from the host is different again and if my learning from blf is correct anodizing is a barrier to emitting heat. So I’m not sure how Firelight2 came to this conclusion. However, this light IMO is designed to be more of an edc which means max lumens are not relevant. Agreed, this torch is about much more than headline lumens figures in short blasts. As an EDC it is very desirable, tiny dimensions for an 18650 capacity. I really like the output from multiple emitters behind TIR optics. The closest thing I have to it is my Astrolux S41 which is a big clumsy heavy dinosaur by comparison. As TK said, sustained output is on a par with e.g. a Convoy S2 with x8 7135s, but this is so much smaller, and far more potent when needed. Then there is the UI, and sophistication behind it, thermal management, etc. etc. And the mechanical packaging, tail e-switch. I am looking forward to it, however it turns out. That’s impressive if it can sustain output the same as a S2 given it’s small size. I just hope the emitter board can be easily taken out so you can customize the emitters. So much potential here. Please don’t mis-understand, this torch is thermally limited, thems the laws of physics. TK showed at http://budgetlightforum.com/comment/1329355#comment-1329355 that it has to ramp down after a few minutes, otherwise it would be toast. Subtle firmware. The point is that it does do so. Unlike most other things. Otherwise you would have to carry around something like a C8, which is a very different beast. You make it sound like I’m guessing or making info up. No, the point of the tapered tube was a large discussion here a while back and it was changed to prevent snagging on clothing when removed. I thought it was ToyKeeper that confirmed this, but I can’t find her qoute. It might have been someone else on the Team that explained this. Does anyone remember who? If I recall correctly, people wanted the tail end to have a taper too, so one was added. I still think the head-end taper is longer than what would be ideal, making it look sort of like a bell, but it is at least comfortable to hold and clip/unclip. The surface finish isn’t final; it’s still being negotiated. I think those are the only visible changes from the original design… and not many seemed to mind earlier when the latest iteration’s render (below) was posted. Maybe it’s just that yesterday’s photos were bad? OTOH, what I’d really like is if it came in dark anodized purple. Yeah I would prefer both tapers to be the same shorter lengths. I like the taper from the head to body. Looks easy to get out of your pocket quickly. 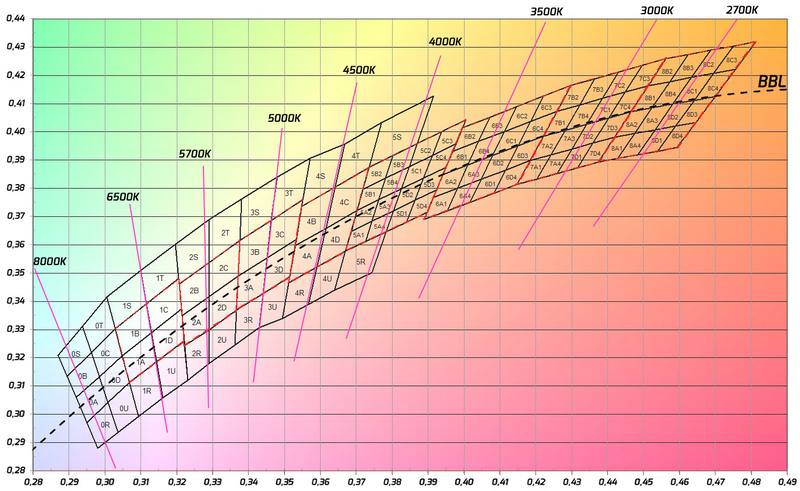 If it was a steeper gradient I could see it getting held up on the top of the pocket on any pair of pants/jeans. The steeper taper near the tail cap would also be nice for not slipping out of your hand or from in between your fingers if held like a cigar or something. I have fairly big hands so it’s not always easy for me to take a full grip on a smaller light without blocking part of the lens or being too far behind the tail cap to operate the button. Hence the cigar hold. Raw, Clear ano, gray ano, bead blasted, tumbled, don’t matter to me. I just like it. +1 . Well said toddcshoe… you summed it up nicely!!! If I understand correctly, if the FW3A sells well, there may later be FW3B, FW3C, and/or FW3T for brass, copper, and titanium. Hopefully that will happen…. Titanium would sure color nicely!!! The reasoning behind it is indeed to make it easier to use the clip. Having the light I built and the prototype made by LT I can directly compare those two. And the clip of the version with the tapered body is definitely nicer to use compared to the sharp edges. Clipping it in the pocket is much smoother – or rather removing the clipped in light is much smoother with the tapered edge. Additionally, I can confirm it is still my design. That’s the reason why the the chamfers have a different angle rather than the same I like the design like it is now but I am sorry that those design changes ruined the light for some people! To summarise, putting angles to the body had a practical reason and since it did (in our opinion) not take away from the overall design we didn’t see a reason not to do it. Finally, I want to add that I think the pictures we currently have from this prototype are a little unflattering and do not represent the design that well. For example this picture of the first prototype looks fairly weird and makes the tailcap look huge while this picture from toykeeper the proportions much nicer and makes the light look much better. So don’t worry too much for now! Yes & Amen!! .. Thank you sir for putting an end to the speculation & speculative discussion…. And a nice design it is too!! !